After observing the altercations on various social media platforms over Big Brother Nigeria show, I conclude in my mind's eyes that all Nigeria is unfortunately known for is, without mincing words, mediocrity. 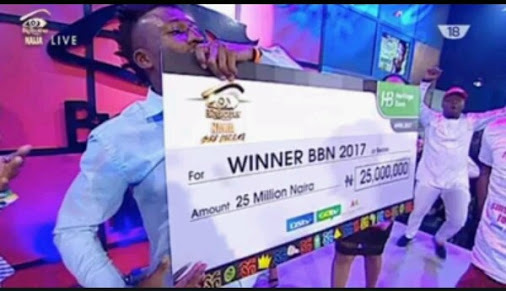 I never watched the BIG BROTHER NIGERIA show and never intended to. I also do not think I would want to watch in subsequent times. Reason being that, from the emergence of Big Brother Africa and the likes, it has never contributed to promoting morality, societal or intellectual development. Millions are spent every time to put this rubbish together to show the world a show of shame. The worse is that we clap for it and celebrate it! Why do we always promote lunacy in Nigeria? There was a time the federal government empowered some Niger Deltans in the name of cajoling them to stop the violence. Now it's about empowering some guys from nowhere for doing nothing! State governors are there taking from state funds also to contribute their madness to these people for doing nothing for their states or people of their states. The governors dish out cash to them while civil servants are owed for months. What happened to "empower young entrepreneurs"? What happened to "help develop villages stricken with abject poverty"? There are a lot of children currently out of school; no philanthropist has deemed it necessary to take it up. People are suffering from ailments that need just a little money to make them get well; no one helps them. Young graduates come up with beautiful business proposals to help better their environments, yet, companies turn them down. Every year, we have best graduating students or best NYSC member of states and the federation, no one gives them accolades good enough to make them become employers of labour. First-class graduates are somewhere in remote villages teaching in secondary schools where they are paid N25,000 ($50) or less a month. On the other hand, beauty pageants are organized for those who do not even know the names of their state governors not to talk of a senator. Even the Nigerian legislature is full of uneducated or third-class graduates ruling highly educated ones. A clear case of the blind leading the seeing. One unnoticed issue that has gone out of control lately is our roles in opposition. We treat issues like it's about World War III! From 2015 till date, people still consider others as enemies because they did not support the same candidates. Today it is the same for the BBN... should one now conclude that this is insanity? My agony in this is that no one can point a moral lesson learned from the "corrupting" show. Companies are making their money off people at the expense of morality, yet, we hope for a better Nigeria? Well, I just do not want to write too much so you and I can have a little time to ponder over my thought. Think about it! It goes a long way to show who controls the social system in Africa and Nigeria in particular. It's a case of lunatics taking over the asylum. Very true. Thanks for this thought. Thank God I'm not the only one against this sh*t!